With Google returning local search results at the top of their organic results it is very important for local companies to ensure their local search engine optimization is done correctly. 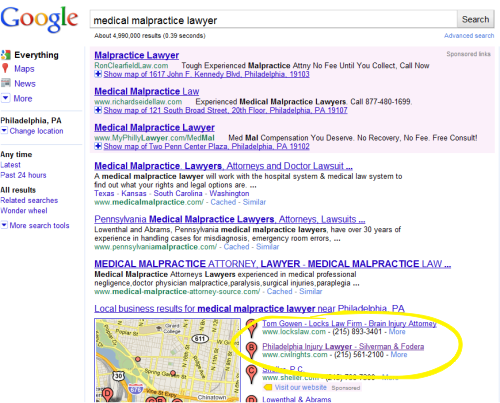 As an example of how important this is – when I type “medical malpractice lawyer” for a search term Google is now determining my location and automatically delivering the Google maps results and the top of the search results page. Part of our strategy for all local companies is to ensure that they are set up properly to show up at the top of the Google maps listings for their keywords. 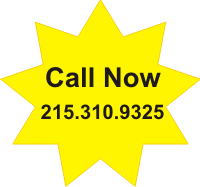 This involves making sure to claim all “citations” – listings in local directories like Yelp, Yahoo, MSN, Yellow Pages and others – and setting them up so that they properly represent the company. This way search engines can see that there is cohesive set of local citations showing that a company really does serve that local market. 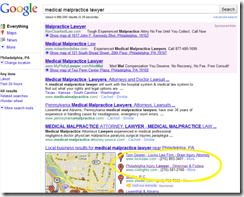 After doing this for Silverman and Fodera, along with our web site SEO efforts, their local listing on Google maps (aka Google Places) wound up on page 1 of search results for their keywords.